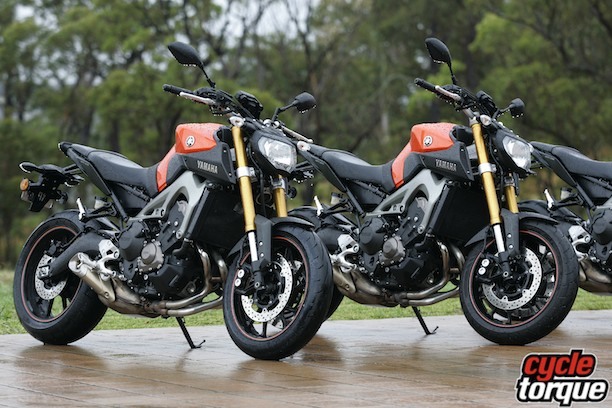 AFTER riding Yamaha’s MT-09 recently I can’t help thinking the naked bike is really making a comeback. Yamaha has a great history with naked bikes, and the MT-09 is something I could live with long term. Not only does it go well, it handles well without being too harsh, and as an all-round bike is very good. 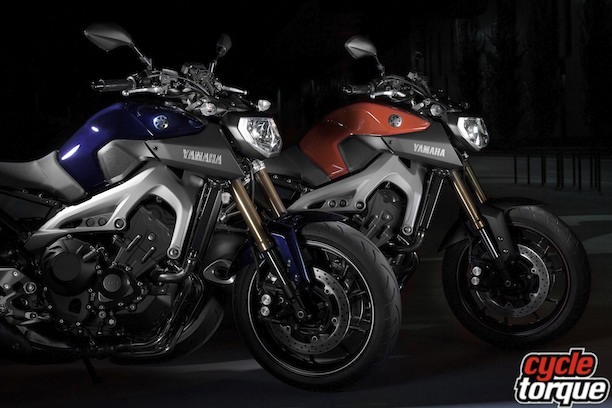 The two stand outs on the Yamaha MT-09 are the styling and the 850cc inline three-cylinder engine. History buffs would know this isn’t the first time Yamaha has produced such a machine. In the ’70s the three cylinder XS750 was released to much fanfare but missed the mark sales wise despite being widely regarded at the time as a very capable machine. It’s hard to know whether the MT-09 will have a similar sales fate to the XS750 but it deserves to sell well because it really is a nice motorcycle. People who buy bikes purely on their real world performance will line up for the MT-09, especially at only $10,999. Looks wise the bike won’t suit everyone, and this is a bike, which really does suit some colours more than others. Those with a penchant for street motard/post apocalyptic styling will love it. I can’t say I’m a huge fan of the styling, but as we know, beauty is in the eye of the beholder. 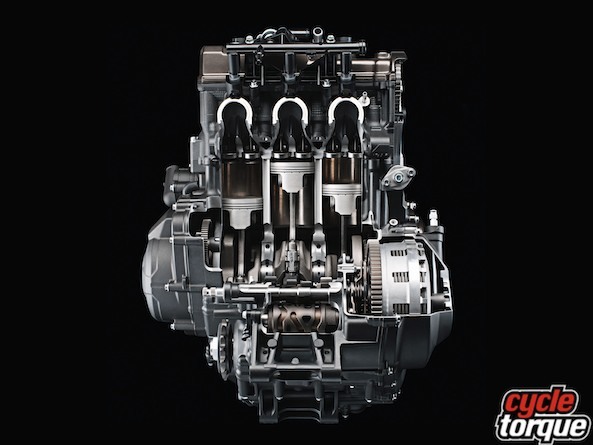 The heart of the matter is a torquey 850cc engine, which is an absolute delight to use. It has all the bells and whistles you expect in a modern fuel injected engine, and is designed for usable performance. Yamaha’s press blurb says it uses ‘crossplane philosophy’ but it sounds nothing like the crossplane crank equipped Yamaha R1. It does have loads of bottom end stonk, and even with standard road gearing likes to climb over its rear sprocket when you are twisting the throttle in anger. You can lug it in a taller gear if you like and it’s happy doing that but the engine is also happy being thrashed. It doesn’t rev into the stratosphere, that’s not what this engine is about but it does not mind being ridden hard. 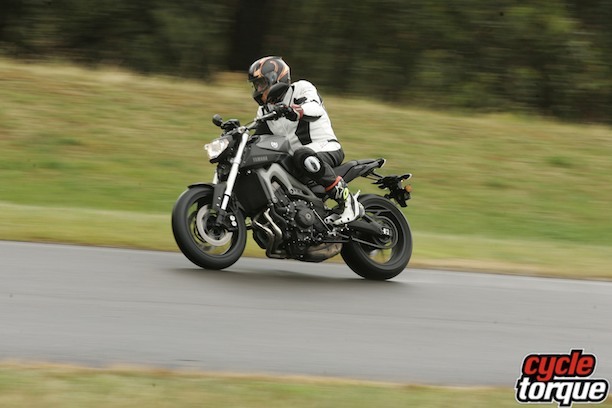 The Yamaha MT-09 makes around 115 PS at 10,000 rpm, giving a good indication of how ‘friendly’ the engine is. Three power levels are available (Yamaha D-Mode) – Standard and A and B modes. I preferred A mode which coincidentally is the most powerful. The main reason was in A mode the throttle seemed smoother to use. Having the extra bottom end poke was fun too though. B mode has the lowest power output and is for rainy days and the like, having a softer bottom end but still retaining full power top end. An alloy twin spar chassis houses the compact engine, using it as a stressed member. Suspension is fairly basic in the sense there’s minimal adjustment – rebound damping at both ends, pre-load too – but with the very reasonable price of the bike this is to be expected. According to the specs sheet the bike is actually lighter than an R6, at 188kg with the 14 litre tank full of fuel, with the tank running dry around the 200 kilometre mark. Seat height is 815mm and as a whole the bike does feel compact, but at six foot I had plenty of room to move around. I think the size of the bike and its seat height will suit lots of different sized riders. Easy rider As soon as I jumped on the MT-09 I thought this is a bike I could do lots of kilometres on. 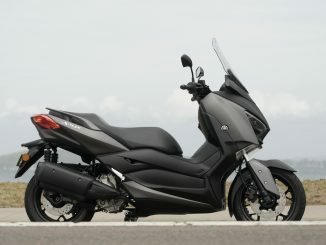 Sure it doesn’t have a small fairing or screen standard (Yamaha does an accessory screen) but it’s very comfortable with regards to the handlebar/seat/foot pegs relationship. On our test circuit the bike felt sure-footed and nimble. Being ‘only’ a three-cylinder the bike feels like you can lean it over forever, until the footpegs touch down at any rate. The other limiting factor to how fast you can ride this bike is the suspension. Not being designed for track work you can relatively easily get to the suspension’s limit, but having said that you will still be travelling at a fair clip. You will find the forks starting to complain first and it’s this which brings you back to reality rather than the shock or the brakes letting you know they are not happy. On the four-piston brakes, I found them to be very good, with enough power and a nice feel for the job at hand. These brakes are not top spec sports type units but are more than up to the task of controlling the MT-09. From what I’ve just written you might think I don’t like the suspension but that’s not the case at all. First and foremost this bike is a road bike, not a track focused machine, and as such Yamaha has got the suspension spot on for the bike’s intended role. There feels to be just the right compromise, letting you explore the bike’s capabilities without smashing you on rougher roads. There’s plenty of feedback from the suspension too, so you are aware you are finding the limits of the bike without things turning pear shaped quicker than you realise. It’s got a very nice spread of power too. Out of tighter turns the bike was just as you would expect from a street motard style of bike. It just loved to wheelstand in first and second gear in A mode, and was quite controllable doing so. Revving out to its red line there were no flat spots and acceleration was strong without making you go ‘wow’! 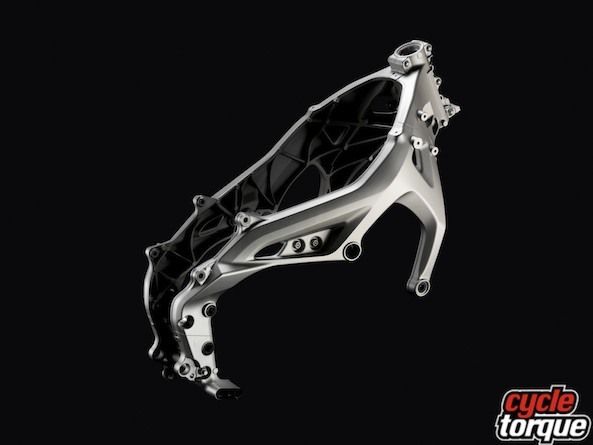 That’s in line with the bike’s design ethos, to have strong bottom end and mid range power. 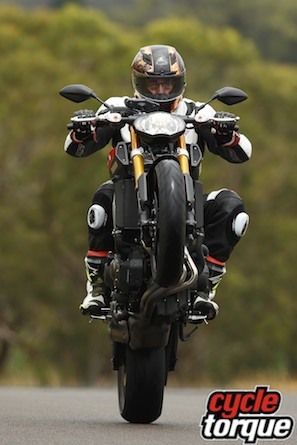 As said earlier you could also be very lazy with the Yamaha MT-09, lugging it out of tight turns in a high gear with the only complaint being a slight ‘rumble’ from the low-slung exhaust. Plenty of manufacturers are going back to ‘grass roots’ type of bikes. There will always be a market for extreme performance motorcycles but more and more riders are looking for motorcycles which are good everyday performers. In this regard the MT-09 should be right in the sights of those riders. It has a great spread of usable power and a suspension package, which is just right for our roads. Goldilocks must have been head designer on this one. In recent years the 750-900cc market has been all but forgotten but it’s making a comeback, and with bikes like the MT-09 the market sector is looking pretty good. One of my favourite bikes ever is Yamaha’s MT-01 but it just was never a big seller. Maybe the price had something to do with that, but most riders would have to see the MT-09 as a bargain, especially after riding one.